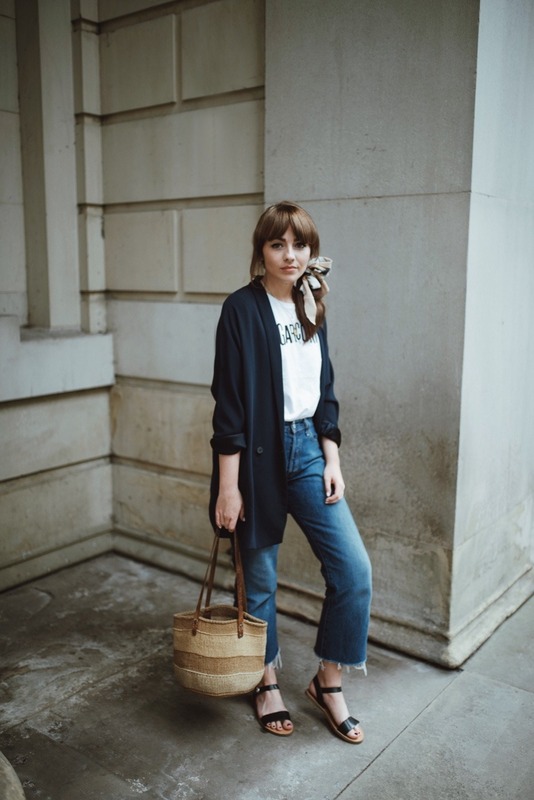 A blazer, T-shirt, and high waist denim will forever be my fail-safe. 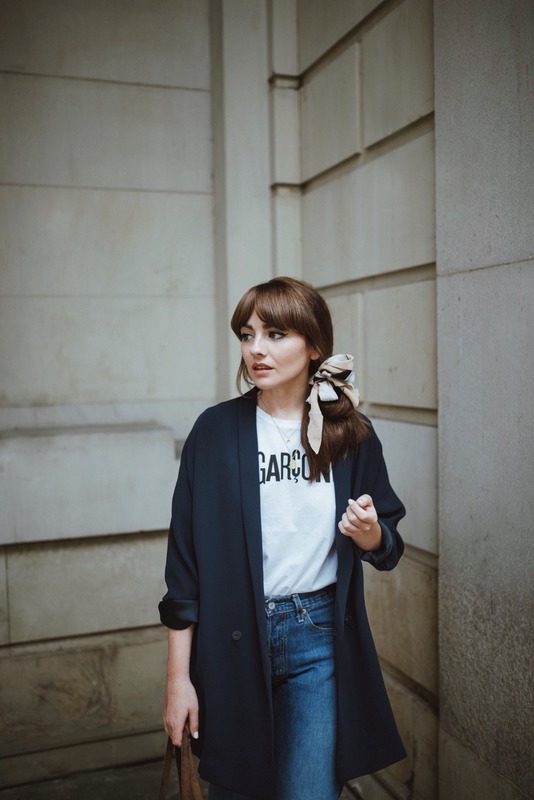 Throw a basket bag and a hair scarf into the mix and there you have it – the lazy girls guide to accessorising the most classic of ensembles. 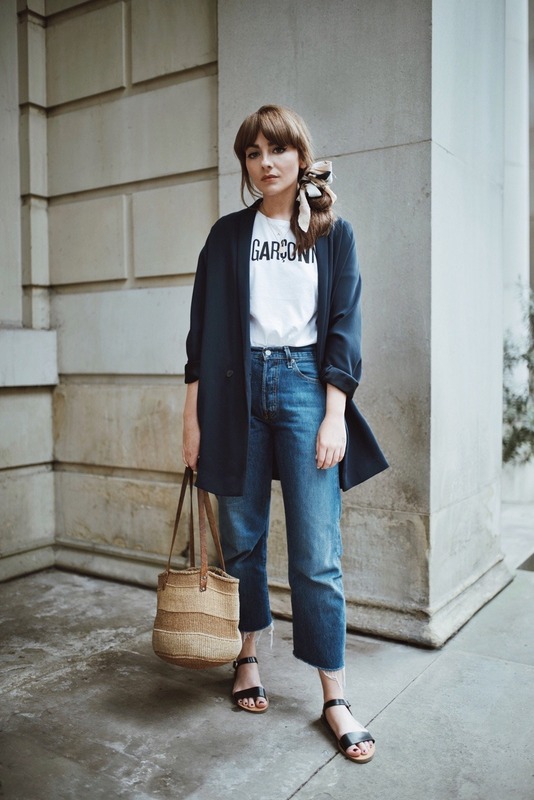 I love that the T-shirt says ‘La Garconne’ – I think out of all the slogan tees that I own, this has worked it’s way to the top of the pile. La Garconne, roughly translating to ‘boyish, means someone who sways against the traditional conventions of how women ‘ought to dress’, and instead creates their own rules. A ‘tomboy’ for lack of a better term. I don’t like to think that clothing is restricted to any gender, but alas, we do live in a time where we are still trying to break away from this. I have always had a strong admiration for any variation of ‘La Garconne’ – the feminine boy, the rule breaker, the woman that dresses for herself before anyone else. Parisienne chic and effortlessly stylish outfit! Love your jeans and bag!